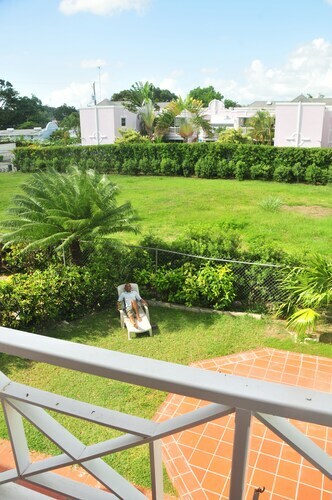 Situated in Rockley, this beach resort is steps away from Allamanda Beach Boardwalk and Rockley Beach. Dover Beach and Worthing Beach are also within 2 miles (3 km). 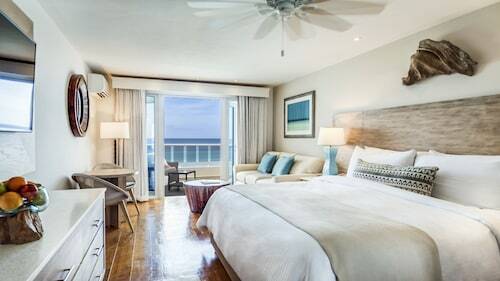 Located in Bridgetown, this beachfront resort is in the city centre and within 1 mi (2 km) of George Washington House and Carlisle Bay. 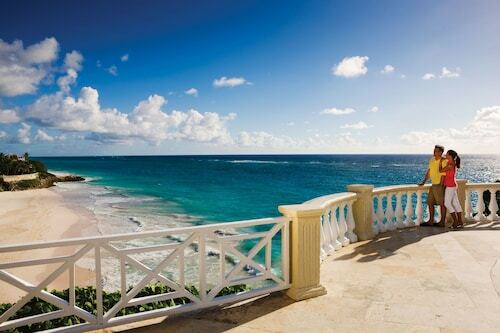 Dover Beach and Rockley Beach are also within 3 miles (5 km). 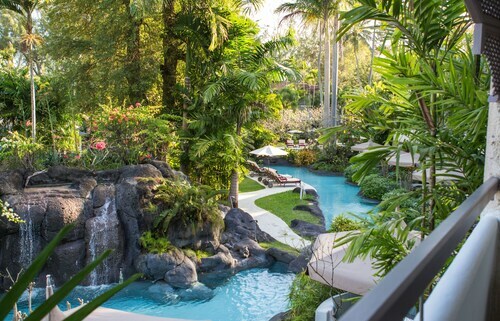 Situated in Diamond Valley, this luxury resort is 0.9 mi (1.4 km) from Crane Beach, and within 9 mi (15 km) of Bottom Bay Beach and Miami Beach. Silver Sands Beach and Bath Beach are also within 9 mi (15 km). Located in Bridgetown, this beachfront resort is in the historical district, just steps away from Needhams Point and Carlisle Bay. Rockley Beach and Worthing Beach are also within 3 miles (5 km). 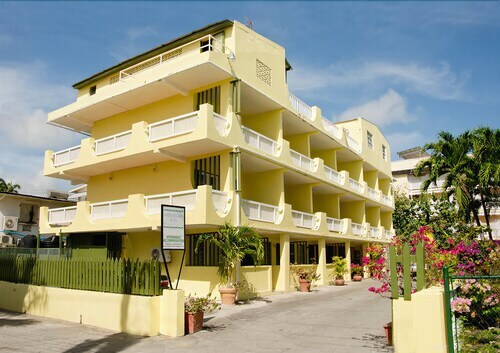 Situated by the sea, this inn is within a 5-minute walk of Turtle Beach and Dover Beach. Worthing Beach and Rockley Beach are also within 2 miles (3 km). 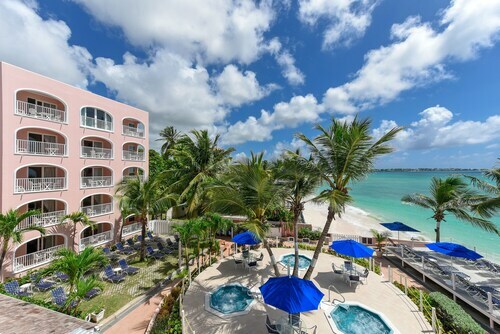 Located in the heart of Worthing, this eco-friendly aparthotel is within a 10-minute walk of Worthing Beach and Rockley Beach. 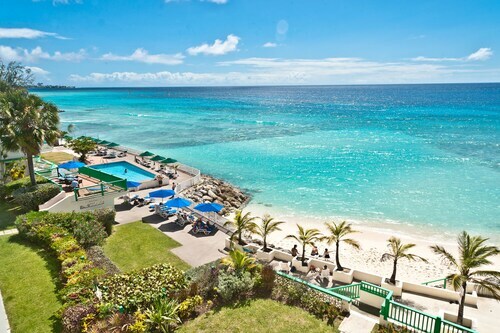 Dover Beach and Carlisle Bay are also within 2 miles (3 km). Situated by the sea, this inn is 0.1 mi (0.2 km) from Dover Beach, and within 3 mi (5 km) of Rockley Beach and Miami Beach. U.S. Embassy and Carlisle Bay are also within 6 mi (10 km). 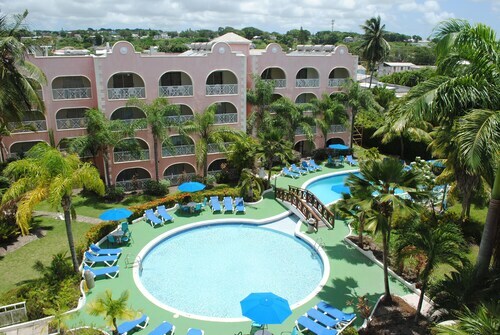 Nestled on the beach, this Oistins hotel is within 1 mi (2 km) of Maxwell Beach, Dover Beach and Miami Beach. Worthing Beach and Rockley Beach are also within 3 miles (5 km). 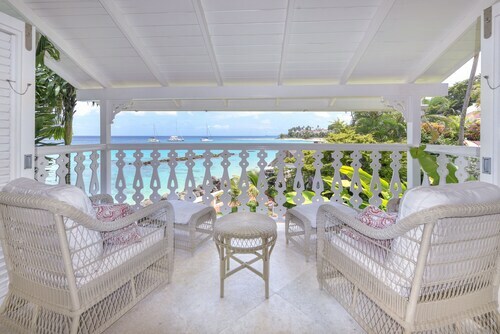 Nestled on the beach, this Holetown resort is within 3 mi (5 km) of Folkestone Marine Park, Sandy Lane Beach and Paynes Bay Beach. Mullins Beach is 2.7 mi (4.4 km) away. 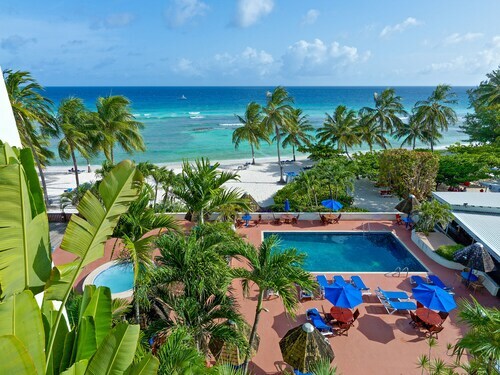 This Speightstown resort is on the beach, 0.5 mi (0.8 km) from Mullins Beach, and within 6 mi (10 km) of Sandy Lane Beach and Barbados Wildlife Reserve. Paynes Bay Beach and St. Nicholas Abbey are also within 6 mi (10 km). Nestled on the beach, this Holetown resort is within 3 mi (5 km) of Folkestone Marine Park, Sandy Lane Beach and Mullins Beach. Paynes Bay Beach is 2.5 mi (4 km) away. 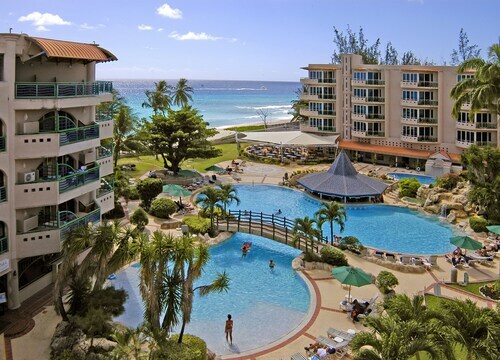 ebookers offers you an easy way to sort through hotel listings once you've decided to visit Barbados (all). Our website quickly comes up with favoured hotels in the city providing you with an assortment of options to pick between. Once you have a curated list, we can help you narrow your search with our site's specific filters. One time-saving element of our website is our map, which gives you a simple way to pinpoint a particular area for your time in Barbados (all). You might want to adjust the filters and sort by popular location and area to find accommodation close to the city's primary sights and landmarks. If you're looking for a reasonably-priced spot to stay, change the price per night filters to choose a hotel that suits your budget. 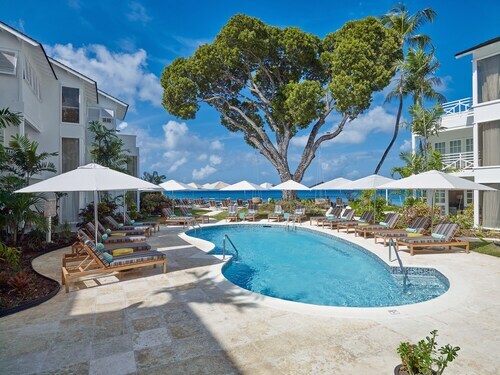 If you want specific facilities and services such as free wifi or an outdoor pool, you may choose to narrow your search so you'll have the comforts you want to make for the perfect visit to Barbados (all). We want to help you arrange a way to get to your destination since you've just locked down on your choice of Barbados (all) hotel. When you want to see all of your transport options in one place, ebookers is your one-stop shop for flights and hired cars. Sort through flights by number of stops, airline, or time of departure to book one that works for you. You'll probably start to look into ways to easily navigate the city once you get your feet on the ground in Barbados (all). You might want to consider having a hired car available for your arrival by searching through our car hire deals. 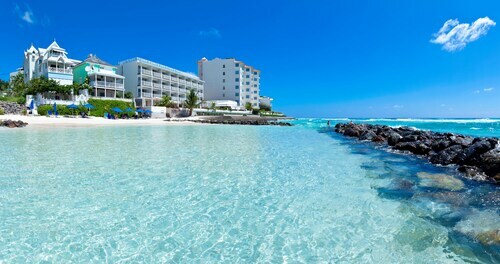 You might want to explore all that Barbados (all) has to offer by taking in some of the top tourist activities while you're there. Booking a hired car can make excursions practicable so you'll be able to experience all that Barbados (all) is known for. It's easy to arrange all your travel plans when you book on our site. With your flight and hired car booked, now you can focus on the fun part—planning the activities for your getaway. From helicopter rides to dinner cruises, you can scan our website for Things to Do. You'll be sure to find activities that are perfect for kids and adults alike when browsing our site for tours in Barbados (all). When you've finished scanning through all of your choices, you can see how other travellers have rated activities before making your final selections. You can also earn travel points to make the most of your budget. Now all that's left to do is pack your bags so you can head out and enjoy your holiday. 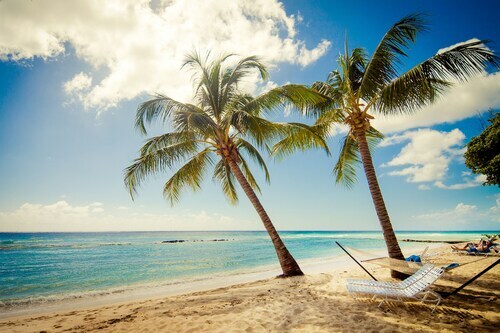 Wonderful beach, calm & clear seas. Easy access to Bridgetown. Good facilities. Lovely ocean front room. V quiet. Poor Eve meals in sunset but Enid's restaurant excellent. Didn't like the live TV in the lounge as too intrusive. Rooms would benefit from bath robes. With e bookers, not impressed with information re drone issues and possible cancellation. The agent was v uninformed. I had to inform him ! Equally it was not made clear when I booked that luggage was an extra. That aside it was a great holiday and resort I would recommend and return to. Close to the beach, nice staff. But thats about it. Right on the beach and perfect for us. Literally on st Lawrence gap which was lovely and wide selection of restaurants. Phil at the front desk was exceptional and went above and beyond to make us feel welcomed. Fantastic holiday all round. No complaints whatsoever. Would thoroughly recommend and aim to return myself in the near future. We arrived at the hotel at 4:30pm and our room was not ready, despite being told check in was from 3:00pm, so we had to wait, this was not ideal after an 8 hour flight. We asked how long the room would take to be ready and the receptionist said that she didn't know. We then had to wait a further 40 minutes for our room to be ready. We were told to fill-in our information on a form as the hotel only had our name, despite us providing all of our details when we booked the hotel via ebookers. When we got to the room there was a person in the room spraying an aerosol of some sort. During our stay we had to contact reception several times as our balcony light was not working, this was not fixed until the day before we checked out. The TV remote was faulty so would work intermittently and there was no GYM as advertised. The air conditioning unit would automatically turn itself on at random times. On one day during our stay we left the "do not disturb" sign on the door as we did not need our room cleaned on that particular day, this sign was ignored. When we returned to our room we had noticed that the room had been cleaned and the air conditioning was on. Twice when we visited the onsite restaurant we had to request our change. Our return flight was an evening flight and was delayed so on the second day we requested a late check out but this was not confirmed until the actual day, despite us speaking to five different members of reception staff who all didn't know.